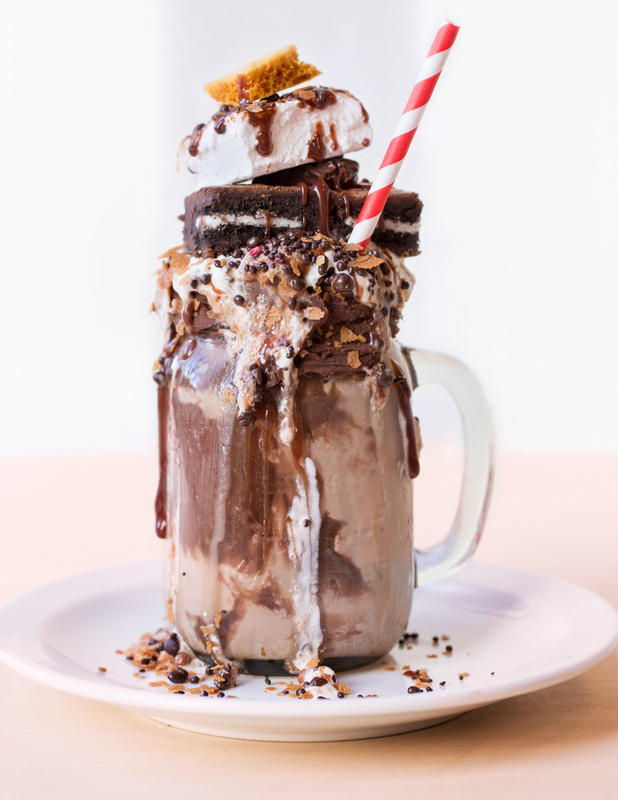 HOME / FOOD / 7 FREAKSHAKES THAT WILL SHAKE YOUR LOVE FOR MILKSHAKES! What happens when you get freaky with a milkshake? You get Freakshakes! Ladies and gentleman, we present to you: the creamiest, thickest and most delicious milkshakes the world has to offer. Don’t believe us? Get ready to have your mind( and stomach) blown! 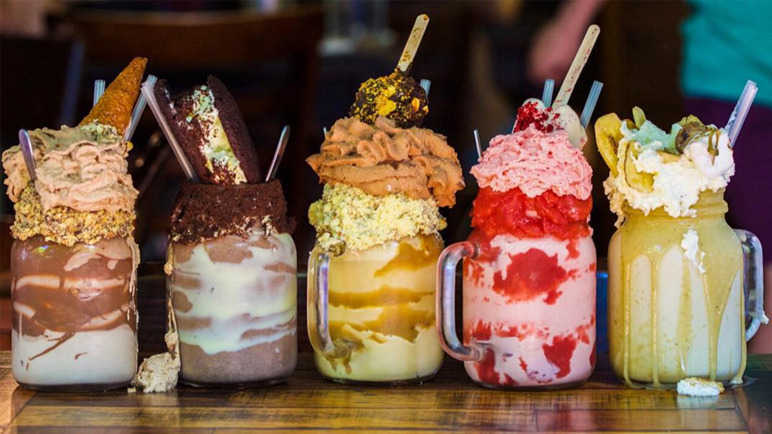 Created by pastry chefs in an Australian cafe named ‘Patissez’, they put simple milkshakes to shame. With a size as big as your head and toppings that form a hill over the shakes, freakshakes are a must-have. Get a napkin ready, because you are going to drool over your screen! 1. Spesso Gourmet Kitchen, India (Mumbai) Ever dreamt of swimming in a chocolate river? We have too. 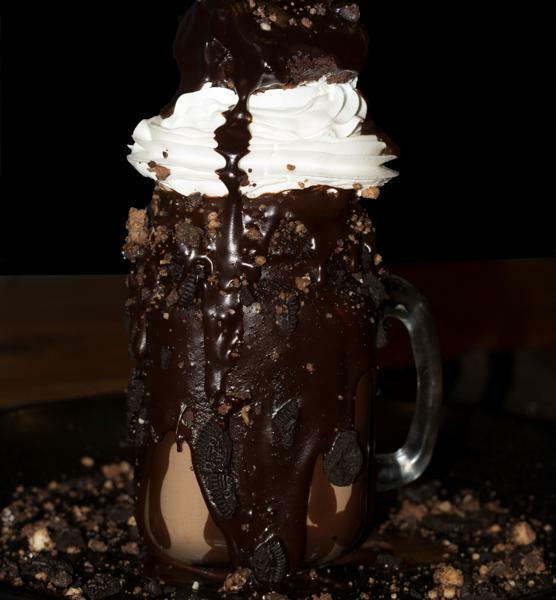 Dive into the ‘Spesso Muddy’ freakshake, a chocolate Godzilla which overflows with chocolate, brownies and Oreo cookies. This is bound to give you a sugar rush for weeks! Nothing out there can fulfill your chocolate cravings as well as this shake. 2. Maxwell’s Bar and Grill, United Kingdom (London) In this place, head downstairs to grab some exciting freakshakes. They have great combinations like salted caramel with pretzels and marshmallows with donuts. Gaining all those calories will be totally worth it. What makes this freakshake exciting? Well, Maxwell is a bar, so you can add a shot of booze to it! Get freakishly drunk! 3.Molly Bakes, United Kingdom (London) Boy, oh boy. In this pastry cafe, these icecream milkshakes come in four flavors: chocolate, peanut butter, caramel and raspberry. A mixture of good old ice-cream, sauces and milk, they are a sight to behold. Oh, and there are the toppings: brownies, honeycomb, cookies, marshmallows - insert everything yummy here- etc. 4.Mighty Small, India (Mumbai) Feeling fruity? Their ‘Caramelized Apple Freakshake’ will make you drink an apple a day to the keep the doctor away, for sure! The perfect balance of sweet and salty, this scrumptious shake is topped with some super soft marshmallows and oozing salted caramel. So drink ‘healthy’ with this fun fruity shake! 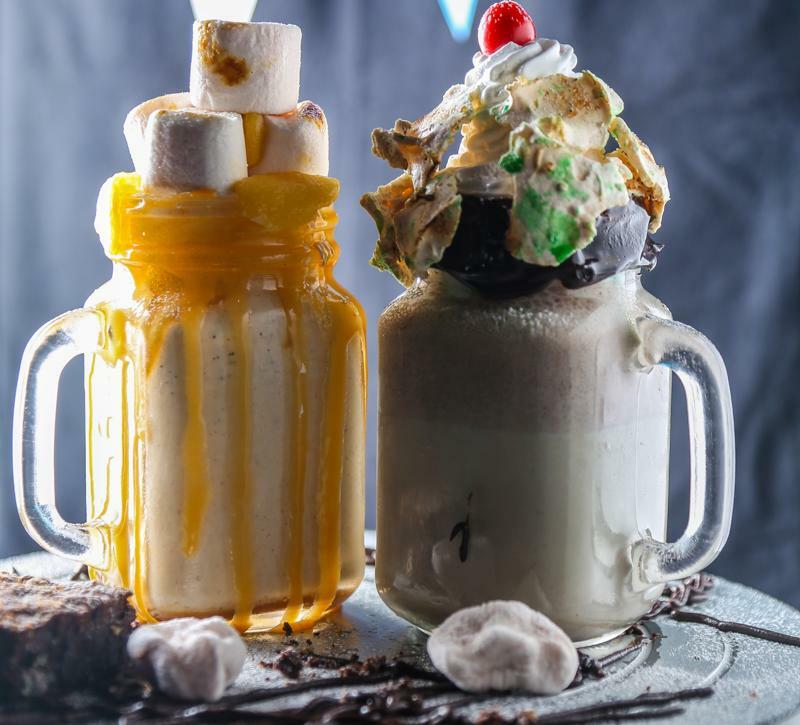 5.Fume Restaurant, UAE (Dubai) Dubai takes the best milkshakes in the world to the next level. Funky flavours like berry, cheesecake, popping cereal and nutty brownie steal the show. The best part, is that the gooey goodness of the drink is topped with a whole slice of cake! 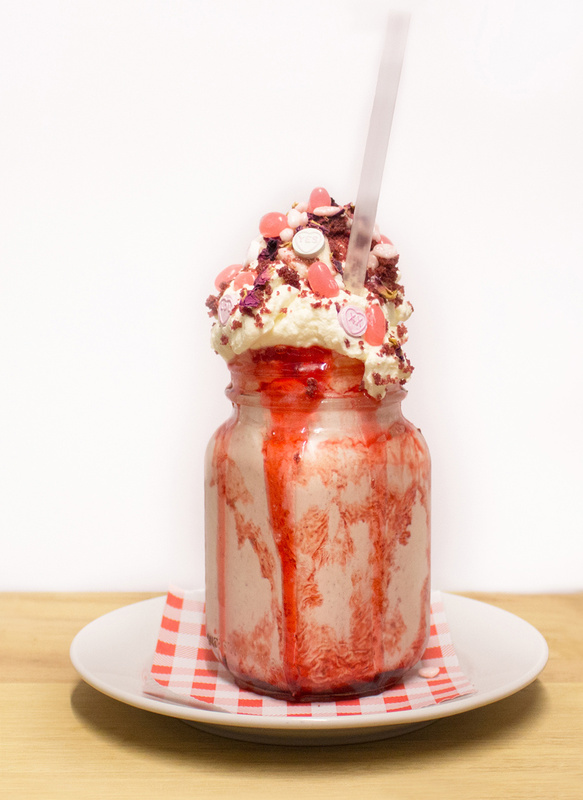 Do these freakshakes keep getting better or is it just us? 6. BlackTap, USA( New York) Originally a burger restaurant, they make some of the best milkshakes NYC(New York) can provide. Miss going to the candy shop? 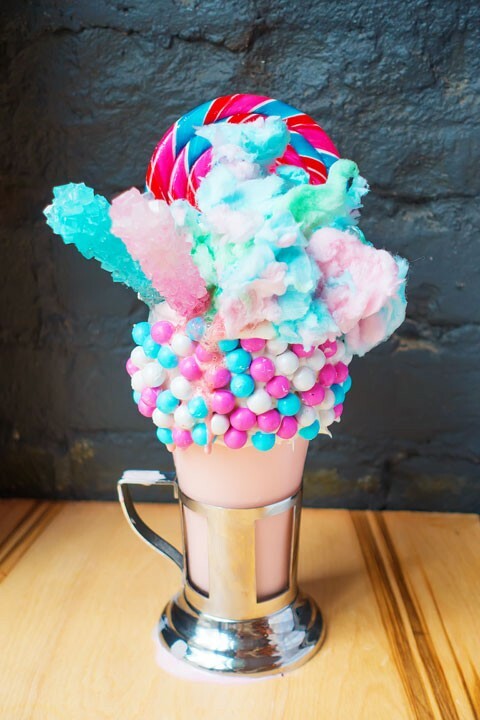 In that case, their cotton candy freakshake will make you squeal like a 5-year-old. This magical wonder is a treat to the eyes and the stomach! 7. Patissez, Austalia(Canberra) Let’s go back to where it all started. 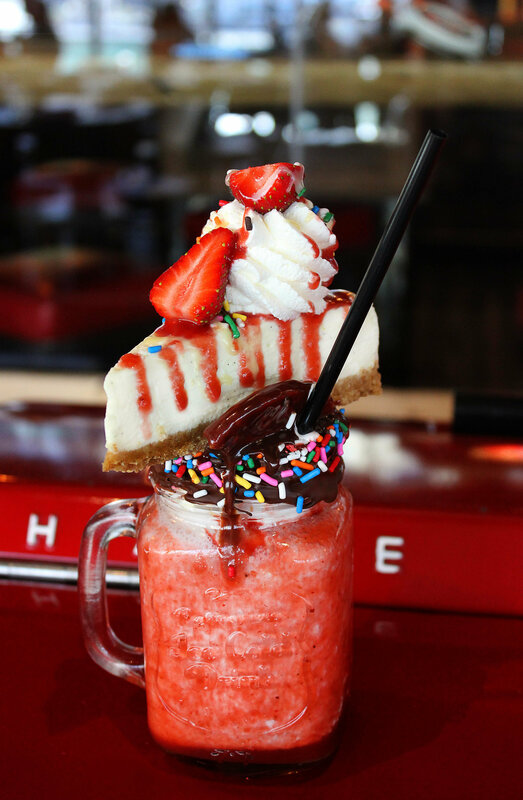 The creators of freakshakes, the Patissez cafe has a variety of freakshakes to offer. 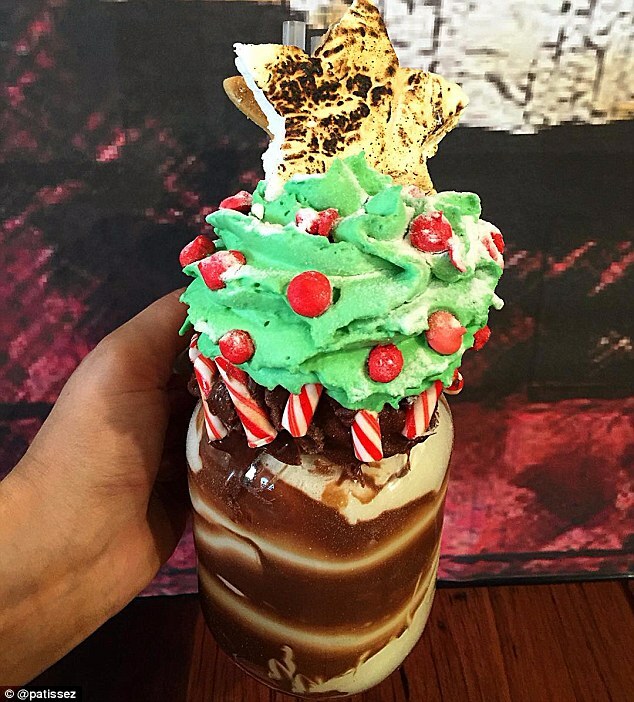 Their most unique shake so far has been the Christmas-themed ‘Santa’s Little Freaks’. Elements like mint chocolate, gingerbread, sugar canes and eggnog make this shake the perfect drink for celebrating Christmas! Uh-oh! Did you gain too many calories from gulping these milkshakes? Don’t worry. Just do these exercises to keep you healthy!